Omar Rayo studied drawing by mail through a program offered by the Academia Zier in Buenos Aires (1946), and in 1947 he worked in Cali as a caricaturist and an illustrator. He moved to Bogota in 1948, where he obtained notoriety for his technical innovations he called “woodisms” in which he rendered the skin of figures so as that it appeared as if nailed or screwed a wooden tables. He also invented “bejuquismos” in which the drawings showed human figures made out of branches and rattan with a surrealist overtone. In 1952, he published an album with caricatures of famous people. In 1953, Rayo took travelled around South America. He worked in artists’ workshops, exhibited in galleries, and studied pre-Hispanic and indigenous art, which inspired his geometric proclivities. He returned to Colombia in 1958, and left for Mexico the following year. In 1960, he traveled to New York, where he settled while still traveling to Colombia on a regular basis. In New York, his work incorporated the intaglio, a technique he became familiar with in Mexico that, combined with folding paper, looked like Japanese origami. His more significant works in intaglio—including the extensive series Papel herido. It showed a profound lyricism and, at the same time, an ironic and strong sense of humor. These figurative works were made first in white-on-white and later with color. 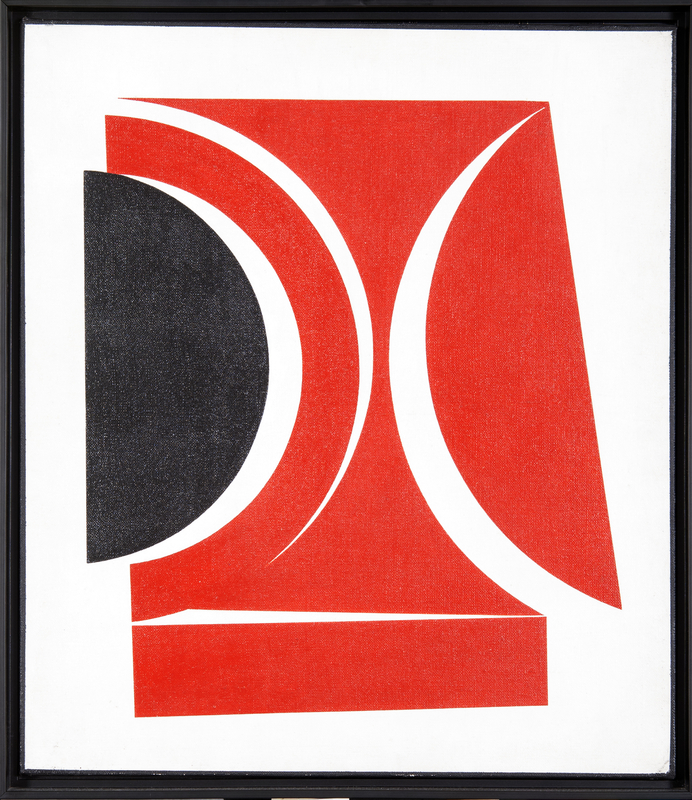 Parallel to his practice of intaglio, Rayo developed his abstract-geometric and optical pictorial work. Soon he found a personal style characterized by series of strips, similar to ribbons that surrounded the work. These black and white or color “ribbons” were interlaced or tied on the work, creating labyrinth-like geometric patterns of mathematical and/or pre-Columbian inspiration. They give the work a certain three-dimensional character. Using this invention that seemed infinite, Rayo subtily combined and recombined the ribbons in works that were presented in several exhibitions. Rayo received a special prize at the 1st Bienal de Grabado Latinoamericano (San Juan,Puerto Rico) and first prize at the Salón Nacional de Artistas (Bogota) in 1970. In 1981, after ten years of construction and preparation, he opened the Museo Rayo del Dibujo y Grabado Latinoamericano, in his native city, Roldanillo. It houses a collection of approximately 2,000 of his works, as well as his own personal collection of works by Latin American artists. In the mid 1980s, Rayo briefly interrupted his work with to focus on cylinders in the series Cilindrome. He produced several sculptures for public spaces, including the monumental Aves del río (Cali, Colombia, 1996) and Pez de los Andes (Sevilla, Colombia, 1997). Omar Rayo: Obra gráfica. Bogotá: Banco de la República, 2000.